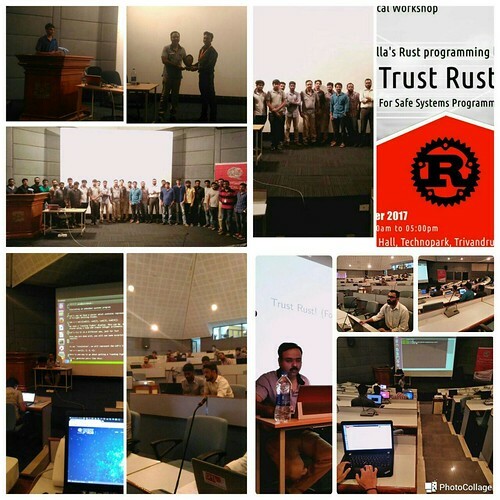 I conducted a full day Rust workshop at Technopark Trivandrum on 25th November 2017. 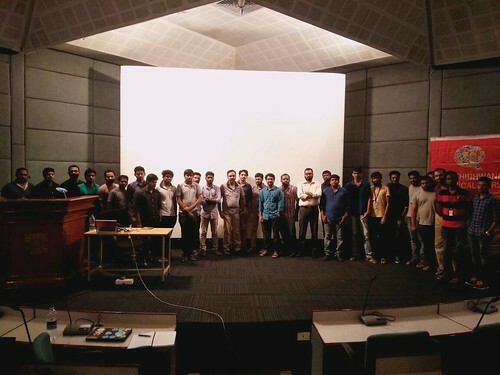 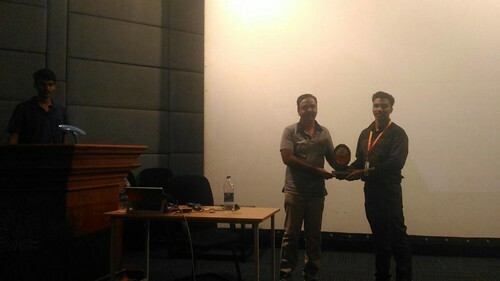 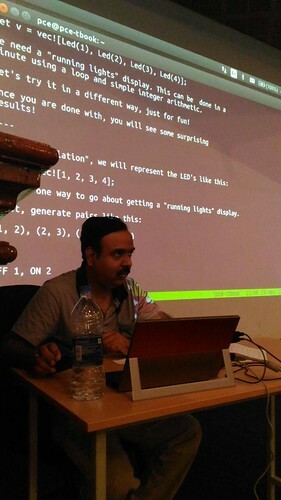 The audience was mostly composed of professional software developers from companies at Technopark and nearby places. 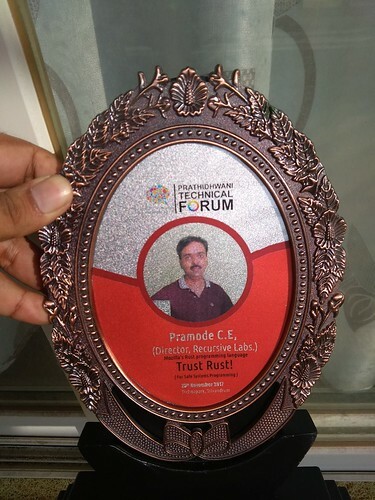 Thanks to Prathidhwani Technical forum for taking the initiative to conduct this workshop!